If you look on your Exchange “Queue Viewer” you may see A LOT of “Undeliverable” Massages that are NDR’s (Non Delivery reports) that your server is sending, this happens because the server receives a message for something like this-address-is-not-real@your-domain.com and it sends an NDR Back. In the Exchange Management Console > Organization Configuration > Hub Transport > Remote domains > Right Click Default > Properties > “Format of original Message sent as…” tab > Un-tick “Allow non-delivery reports”. However that’s not good!, NDR;’s are there for a legitimate reason and without them you might not get an important email if the person sending it misspells your name for example. 2. 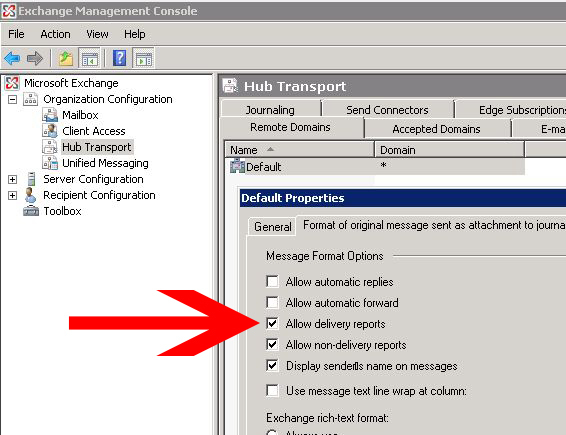 In the Exchange Management Console > Organization Configuration > Hub Transport > Anti Spam. 3. Recipient Filtering > Blocked Recipients. 4. Tick the box that says “Block messages sent to recipients not listed in the Global Address List” > Apply OK.